MARRAKECH, Morocco - July 3, 2018 - PRLog -- Wellbeing company Satvada Retreats is expanding its popular Marrakech Wellbeing Weekends to a luxury format based at a sumptuous Riad in Marrakech. After running successful Wellbeing Weekends in the evocative city of Marrakech for six years, the company's first Luxury Wellbeing Weekend will run over November 8 – 11, 2018, and will offer all the successful ingredients of these long-standing short retreats within an exclusive small group environment. The three-night breaks have been created for those seeking a nurturing retreat experience that is equally suited to newcomers to yoga or retreats as to more experienced practitioners. Over the course of three days, six 90-minute mindful yoga and meditation classes aim to soothe body and mind. Led classes, taught in a highly accessible way, are supplemented by a restoring massage, luxury en-suite accommodation, a roof-top spa and jacuzzi and exceptional food. Satvada co-founder, Lucia Cockcroft, says: "We are excited to be rolling out these three night breaks to a calming, opulent venue in the heart of Marrakech. At the heart of this experience is self-care. Our guests expect, and deserve, a certain standard of luxury, cuisine and service, and this exceptional Riad doesn't disappoint. We hope to surprise and delight those expecting retreats to comprise dawn starts, dormitories and a regimented programme." 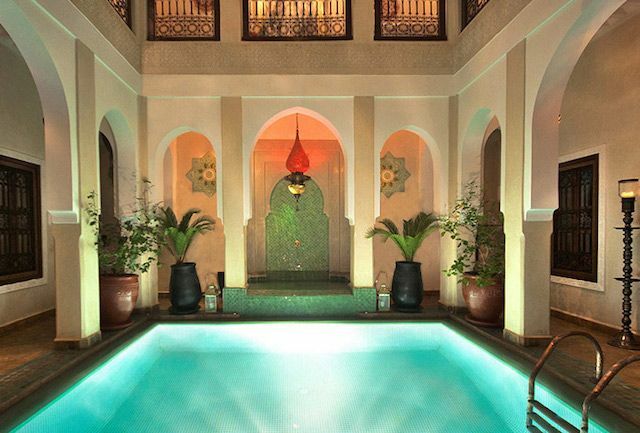 The host venue, a lauded British-run Riad with just eight luxury bedrooms, was recently featured in The Times' Travel section as one of the most exceptional Riads in Marrakech. The November long weekend will be taught by Satvada's co-founder, ex-journalist Lucia Cockcroft, an experienced yoga and mindfulness teacher. Satvada Retreats' first three-night Luxury Wellbeing Weekend will run from November 8 – 11, 2018. Per person prices start at £749, early bird, for a shared luxury en-suite room, including all yoga classes, all food, an on-site massage and airport transfers. Flights are not included and can be booked via Easyjet, Ryanair or British Airways. London-Marrakech flying time is just over three hours. Since its launch over ten years ago, Satvada Retreats has received a host of press accolades. The company is known for its inclusive, therapeutic approach to teaching yoga and mindfulness, and for designing friendly and unusually small group-size retreats - with the average retreat capped at just ten guests. The company is run by yoga teachers Lucia Cockcroft and Darren Cooper.